Last June, in closing out the 2018 outdoor track season, we posted a series of articles that recognized the top performers in every grade level. As we now approach the 2019 track and field season, we want to bring those rankings forward as we focus on the Feb. 16 opening of the season. 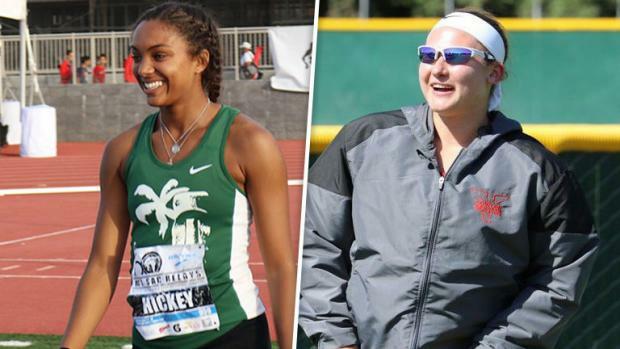 This article looks at the Class of 2019 -- last year's juniors, this year's seniors -- which showed its excellence at the CIF State Meet -- seven champions -- and also in the national rankings last season! Use the links below to see the overall top 200 boys and girls in CA in the 2019 class in every event ranked as juniors. Also check out the sortable rankings to break it down by section or even league. MileSplitCA editor Jeffrey Parenti contributed to this article.